Challenge your limits and explore Antalya’s countryside with a full-day adventure over Taurus Mountains. 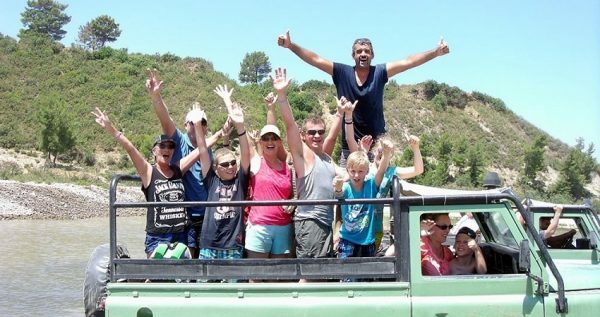 Antalya Jeep Safari is the ideal excursion for those who seek an alternative getaway, as it brings together everything you need to boost your adrenaline and revitalize your senses. Off-road driving, idyllic walks in the forest, swimming in a natural pool and of course breath-taking views of the Ucansu Waterfall. Experience the best of nature and be filled with emotions and impressions with a unique full-day excursion. Your adventure begins by the moment you get picked up from your hotel. At the starting point of the Jeep Safari excursion, you will meet your own personal guide, who will be the person in charge to provide all necessary information in regards to the schedule. You will be amazed by the breath taking and picturesque views that Taurus Maintains has to offer. In addition, you will have the opportunity to see some small Turkish villages when the Safari convoy will be passing through the dusty off-road trails. 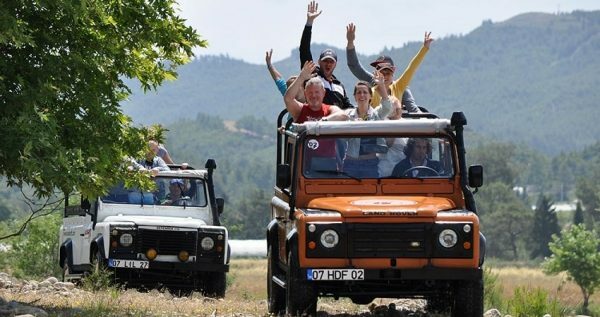 If you are a nature lover, then it is worth to mention that there are few stops during the Antalya Jeep Safari excursion where you can enjoy nature at its maximum, full of beautiful smells and colours. Stop overs are also great opportunities for photos of the extraordinary scenery that is full of trees and flowers. Yumaklar village will be the stop at an altitude of 920mt. Get the chance to experience from first hand and learn interesting facts about the lifestyle of a small village by visiting a traditional folklore house. Your adventurous trip continues with a launch break at a traditional local Turkish restaurant. Taste the real countryside cuisine with a delicious lunch that includes grilled fish or chicken, salad and seasonal fruits. The Mediterranean region has a lot of undiscovered natural beauties that are still unspoiled from the crowds, like Ucansu Waterfalls. Driving there will be an exciting and adventurous experience as the Jeep convoy will be passing though dusty trails that are able to offer the unique off-road driving sense. Ucansu Waterfall or Flying waterfall shapes a natural pool, where you can swim and revitalize yourself in crystal clear waters surrounded by the nature. The power of nature in combination with an unforgettable off-road Jeep Safari will have for sure a positive impact on you. 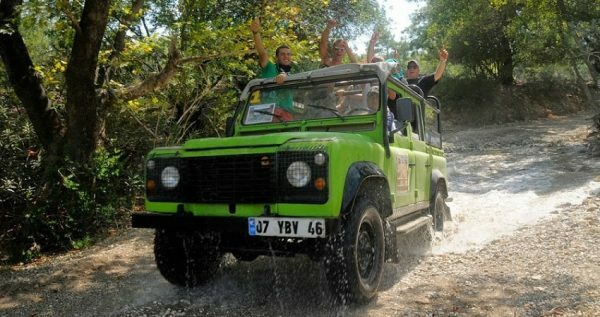 Antalya Jeep Safari forms an exciting, yet idyllic adventure that you will remember for a long period of time. This tour can be booked minimum 24 hours before the tour departure time. If you would like to make a last minute booking, please contact us via enquiry form. 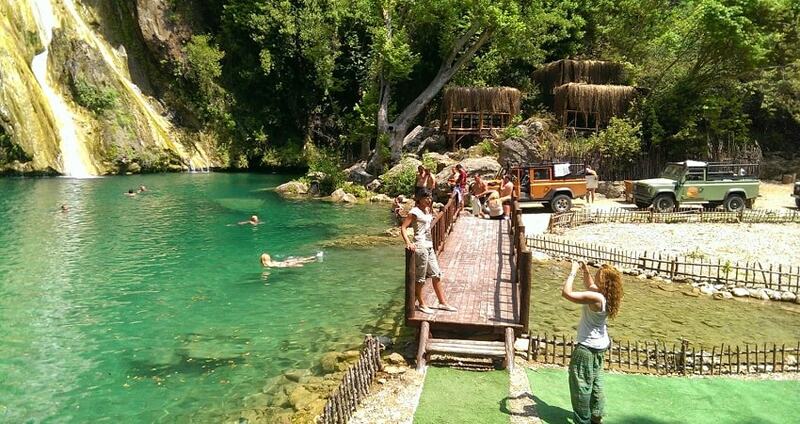 Antalya Jeep Safari is not suitable for guests with physical difficulties. 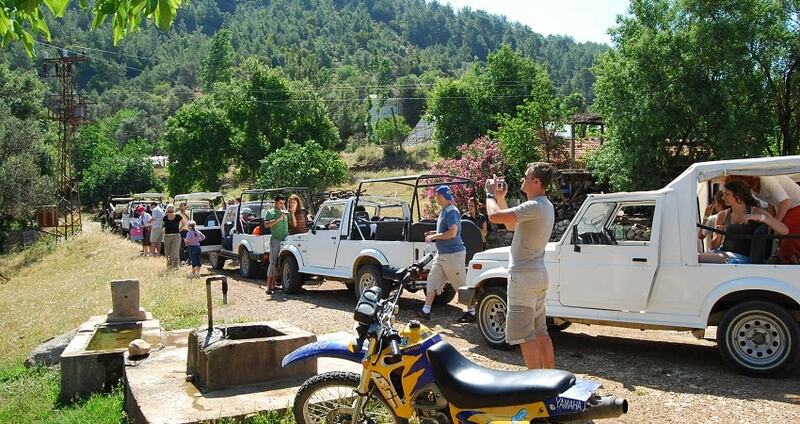 If you are up to another adventurous day, Antalya Quad Safari is a great option. Antalya Jeep Safari is an alternative full-day getaway, as it brings combines everything you need to boost your adrenaline and revitalize your senses. Off-road driving over Taurus Mountains, idyllic walks in the forest, swimming in a natural pool and of course breath taking views of the Ucansu Waterfall. Experience the best of nature and be filled with emotions and impressions with a unique full-day excursion. You will be picked up from your hotel in the morning and drive towards the starting point of the Antalya Jeep Safari excursion. A meet and greed session will be followed with your personal guide, whose responsibility is to offer important information about the program’s details. Antalya Jeep Safari begins once on-board the off-road Jeeps. 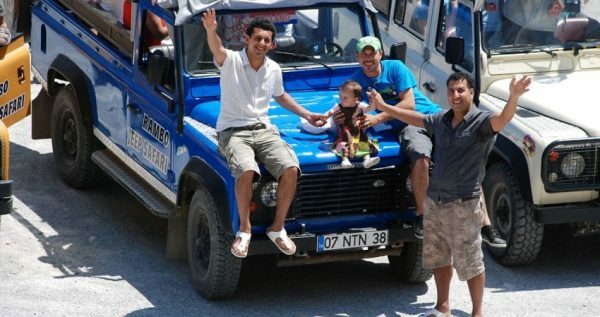 There is definitely no better way to explore the beauty of Taurus Mountains than these 4×4 off-road vehicles. Jeeps have capacity of 4, 6 or 8 passengers in an effort to meet the needs of your group. You can expect an amazing route of 140Km in total full of emotions, adventures and unique experiences. 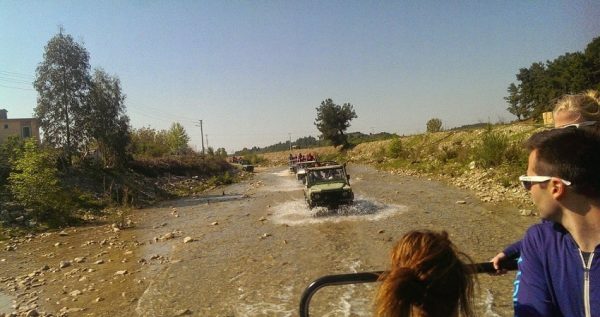 During the Antalya Jeep Safari you will have the opportunity to pass from small Turkish villages and observe the countryside. In addition, once you reach an altitude of 920mt, the Jeep convoy will make a stop at the Yumaklar village. There, you will have an amazing opportunity to experience from first hand and learn interesting facts about the lifestyle of a small village by visiting a traditional folklore house. You will also have a chance to see traditionally dressed men and women, a mosque and learn the secrets of a mountain village. Antalya Jeep Safari exploration includes a launch break at a traditional local Turkish restaurant. During the launch you will get to know more about Turkish cuisine and traditional recipes. Indeed, you will taste the real countryside cuisine with a delicious lunch that includes grilled fish or chicken, salad and seasonal fruits. Take a break after your launch, as the exploration in Taurus Mountains continues…off-road! An exciting safari route is what follows in order to boost the level of your adventure. You will be passing through narrow, dusty and sometimes wet roads so be ready for some serious Jeep water fights along the way! Your excursion will be all about an amazing off-road terrain that passes through mountains, pine forest and many other road hazards until you reach the unspoiled Ucansu Waterfall. Once you reach Ucansu Waterfall or Flying waterfall you will be amazed by the endless beauty of the scenery. It is a well-kept secret that preserves its natural character unspoiled. The waterfall itself will form a unique backdrop for some amazing pictures that you might be interested to take. At the end of the waterfall a natural pool is shaped, where you can swim in crystal clear waters and enjoy a relaxing moment. Relaxed and full of emotions you will then continue on your way back again through the Taurus Mountains. Antalya Jeep Safari excursion will offer you unique and unforgettable images. Your excursion is ended once you are dropped off at your hotel.